Jesus refers to His followers as sheep. What does this have to do with your intimacy with the Lord you ask? Let us look at the characteristics of sheep. As a young believer you and I come to the Lord as His sheep. However, there is a need for a transition in our thinking after a while. Consider these facts…. In Moses’ Tabernacle sheep could go no further than the Brazen Altar where they were sacrificed. Therefore they could not go past the curtain to experience fellowship with God that is represented in the Holy Place; nor could they have the deep intimacy that comes from entering the Holy of Holies. 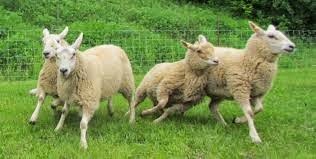 Sheep were unable to enjoy that kind of intimacy with the Shepherd since they are a different species from Him. Do you see the spiritual implications for you and me? If we continue to think of ourselves only as sheep we will never experience true intimacy with the Lord. The Father is not preparing a Marriage Feast for His Son and His sheep. He is preparing one for His Son and His Bride! Jesus told Peter to feed His sheep and feed His lambs. These are the vulnerable, new ones. Luke 22:31-32 – And the Lord said, Simon, Simon, behold, Satan hath desired to have you, that he may sift you as wheat: But I have prayed for thee, that thy faith fail not: and when thou art converted, strengthen thy brethren. Peter had to go through a conversion before he could be of any use to the brethren. He was a sheep at first. As a sheep he denied Jesus because he was looking after his own interests. But Jesus saw that Peter would be converted. Peter had not yet developed the agape love for Jesus. Jesus asked Peter if he loved Him with agape - the perfect, intimate God-kind of love, but Peter’s response each time was that he loved Jesus with a brotherly affection. Now let us look at the characteristics of the bride. He is her covering, therefore she knows that He takes care of her needs. This frees her to focus on their relationship, and on their 'business' ventures. In ancient Jewish weddings the bride immersed herself in a “mikvah” prior to the marriage. This was a body of water, and her immersion symbolized the profound transition that was about to take place in her life. In Moses’ Tabernacle the priests had to wash at the Brazen Laver in preparation for transitioning from the Outer Court to the Holy Place – a place of greater intimacy with the Lord. Today you and I must first ensure that we change our mindset from being simply a dependent sheep. 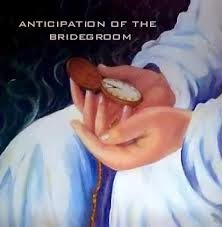 We must embrace our life as the Bride of Christ preparing for her Beloved Bridegroom! Says the Lord, “That you will call Me ‘My Husband, And no longer call Me ‘My Master,’ (2:16) Amen! I love thinking about this day... becoming His bride in it's fullness. It's exciting and peaceful all at the same time. Until that time comes, I'm continually working on wifely obedience. 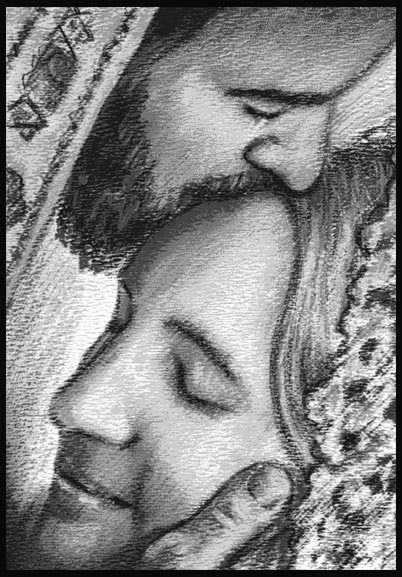 What a beautiful picture of us not only as sheep needing a shepherd, but becoming the bride of Christ (after that total cleansing.) Thank you for sharing with us here at Tell me a Story. I love how you explain how the sheep are and what they want. It is a beautiful picture of how we are too. Thank you for this in depth look into this truth. Cheering you on! Hi, I'm visiting from the Equipping Godly Women link-up. I love your description of the Bride. This quote especially spoke to me this morning: "He is her covering, therefore she knows that He takes care of her needs. This frees her to focus on their relationship, and on their 'business' ventures." I love the simplicity of understanding in your post. Interesting thoughts. I've been a Christian for over 60 years and have never heard it explained like this. Thank you for sharing with us on Spiritual Sundays. Thank you fror this teaching from the Bible. I would love to be His bride. Dropping by from Spiritual Sunday. My entry: Are you carrying a heavy load? 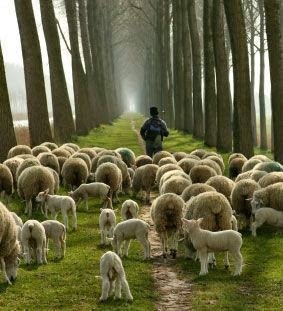 So much we can learn from the illustration of sheep & their shepherd. I like how you have taken this a step further, transitioning to the bride. I'm you neighbor at the Weekend Brew. So appreciate you sharing the attributes of sheep-- the first list I was like "Oh yeah. That's me." Then the second list I was like "SIGH. That's me too." Love your encouragement and perspective here, friend. So very much. Thank you! this is so profound and MEAT, not milk, for the day... thank you for the research and for speaking truth in love. i have been challenged by this post and it is a huge encouragement not to settle for life in the pasture.